About Aleksandr Klimenko. Who is Oleksandr Klymenko? ⋆ Official website for Aleksandr Klimenko. and own unique path of Ukrainian development. Ukrainian politician and public figure, who advocates for national reconciliation and own unique path of Ukrainian development. He was born November 16, 1980 in Makiyivka, Donetsk region, Ukraine. 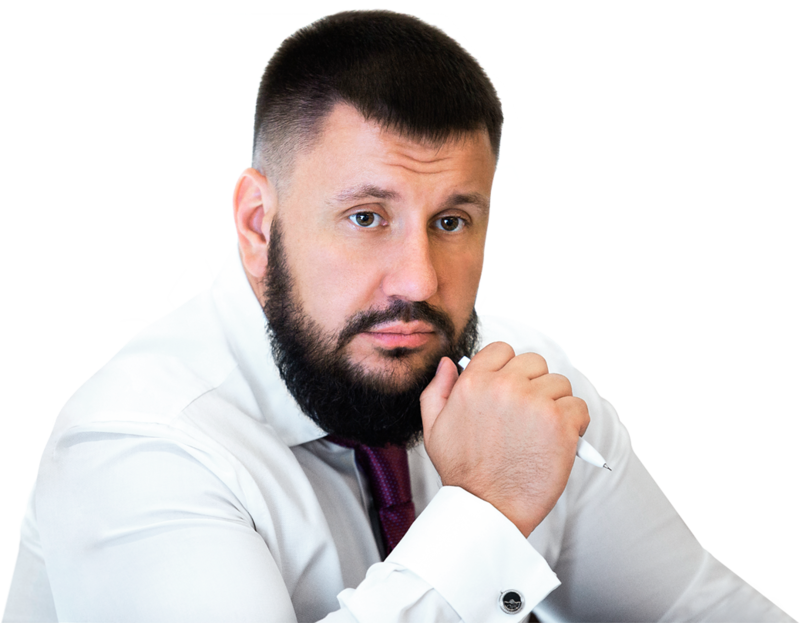 After economic education at the Donetsk State University of Management, major “Finance”, in the early 2000s with his brother Anton Klymenko he became the founder and director of several successful enterprises, which have been consolidated under a single holding company by 2005. Oleksandr Klymenko understood the needs and problems of business. Thus, since 2005, he has been invited as a crisis manager to the public service for the modernization of the tax system of the Donetsk region. He implemented strategic management and risk-oriented system into the work of the tax authorities in the region. As a result, in 2010 record indicators on the collection of tax payments were fixed in the region. In 2011, Kiev noticed the success of Klymenko. He was appointed first deputy and then head of the State Tax Service of Ukraine. During that time, Klymenko was the youngest among the heads of similar institutions in Eastern Europe and CIS countries. Activity of Oleksandr Klymenko (as a head of the STS and as a head of the Ministry of revenue and duties of Ukraine, which was created in 2012) was aimed at improving the investment climate, creating comfortable conditions for business, simplification of procedures related to filing reports and tax payments. Among the key priorities Klymenko there was a struggle against the shadow economy using the new analytical methods (which were worked out under his leadership) in order to ensure the timeliness and completeness of business tax payments, and as a result, filling the budget for the full functioning of the State. In 2012-2013, Oleksandr Klymenko was among the key negotiators on economic issues before the signing of the EU-Ukraine Association. At the same time, he took part in the settlement of trade conflicts with Russia. That time and by today Klymenko believes that Ukraine must cease to be a bone of contention between East and West. It should become a «bridge» between them, said Oleksandr Klymenko. Klymenko claims that only economically strong state can be truly independent. He is a PhD in economic sciences. He has a degree of Executive MBA program ” Strategic management in times of change”. Using his knowledge and experience in business and public service, Oleksandr Klymenko together with his team was working on an extensive program of new economic policy of Ukraine. According to him, the main driver of economic growth should be not loans, but investment and domestic resources. It is necessary to focus on the development of innovative economy with government support of priority sectors, the reorientation on the export of high-tech products. It can be achieved through the development of own high-quality production, investment in infrastructure and education, providing the most comfortable conditions for the development of private initiative. Concerning the social policy, according to Klymenko, state has to solve problems of socially vulnerable categories of citizens and also to eliminate the causes of these problems. The politicians have to abandon the populism and become managers, which will carry out the project “Ukraine” for its citizens. Oleksandr Klymenko is able to make complicated decisions and take responsibility for it. In 2013 he worked out and adopted one of the key economic laws of Ukraine – on transfer pricing. Its entry into force in May 2014 (which was planned by Klymenko, but postponed by the new government), would destroy all the schemes (which were developed for years) on withdrawal of assets in offshore and low-tax jurisdictions without paying the appropriate taxes in Ukraine. In February 2014, Oleksandr Klymenko had to leave Ukraine due to the political pursuit, in particular, it was caused by his firm stance on this law. It was intended to prevent preying on the country and its citizens by all the oligarchs, including those, who have received the influence on the power in the country. Any experiences are not able to stop Oleksandr Klymenko on his way towards the serving to Ukraine. Nowadays, he is defending successfully his reputation, honor and dignity in the Ukrainian and European courts. In order to help fellow citizens, Klymenko became a founder of the public initiative “Restoring Donbas”. It is devoted to providing help to IDPs to adapt, finding ways to resolve the conflict in the East. Oleksandr Klymenko believes that the systemic crisis in Ukraine can be solved by recognizing the difference, but at the same time the equality of regions, while maintaining their unity in the unitary Ukraine. A high level of independence in the budget and tax fields, equal opportunities and reasonable competition among the Ukrainian regions will enable them to realize their full potential. Using its unique, everyone will find its success story as part of the success of the Ukraine. This is the way to resolve the conflict in Donbas, the restoration of peace in the country. Oleksandr Klymenko strives for peaceful, successful and prosperous Ukraine. It’s time to leave the past in the past and look towards the future through reconciliation of society on the basis of faith, respect for each other and traditional values for Ukrainians, he says. In November 2015, Oleksandr Klymenko published his book «Path to Success. How to change the system and to be true to yourself». Ukrainian politician and public figure summarizes his personal experience in business and in civil service, provides answers to questions, which are issues of concern, namely, how to live, work and achieve success in a country with a blossoming of corruption, bureaucracy and the power of the oligarchs. The main point is – how to change the country and «carry out successful reforms, to overcome enormous resistance of the system, to avoid the risk of becoming a part of it”. Ukrainian politician called his book “a practical course of public management”, which is based on 10 years of experience in the implementation of reforms and innovations in Ukraine. The book “Path to Success” by Oleksandr Klymenko was presented to readers during a meeting with journalists and community on November 16, 2015. Oleksandr Klymenko was chosen as the head of the political party “Uspishna Kraina” on December 12, 2015 in Kiev. This decision was made by delegates at the 8th Extraordinary Congress of the Party. Politian offers a path of development founded by the unique identity of the Ukrainian people. He advocates for a new, innovative economic model on the basis of his own spiritual beliefs. He has a clearly elaborated program of reforms aimed at improving the standards of living of Ukrainians, creation of a competitive education system, availability and quality of medical services for the citizens, preservation and enhancement of cultural heritage. Politician believes that know how to build a system, how to create order from the chaos, how to start and finish successful projects. According to Oleksandr Klymenko, the success of Ukraine is in successes of Ukrainians!